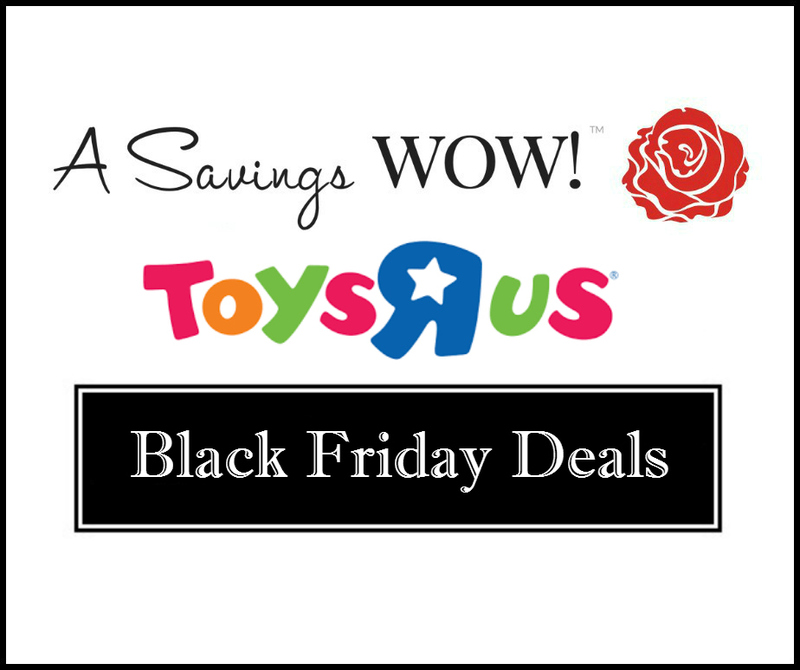 Toys R Us Black Friday Deals | A Savings WOW! The Toys R Us 2015 Black Friday deals sneak peek is here. You can view the entire ad here. Thank you to Enza’s Bargains for compiling this list. Deals start Thursday at 5 pm! $39.99 (save $70) on Imaginarium 55-pc Train Set with Table! $299 (save $150) 12-volt Cadillac Cars! Other items you will find 50% off Supernova Battle Rover (only $49.99), $7.49 for Fisher Price Medical Kits, and more Fisher Price Thomas toys at 50% off! $29.99 (40% off) Disney Junior Doc McStuffins Get Better Talking Mobile. Also tons of Knex, Lego Toys, Board Games, Brix Building Blocks and MORE! Movies will be BOGO for $1. $19.99 (reg. $40) for Razor Lil’ Kick or B Kick Scooters. $39.99 (reg. $79.99) for Moto Trax 6 volt Quad cars.